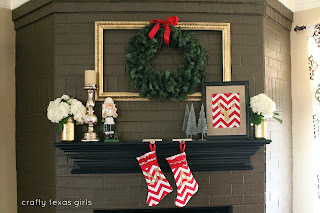 I bought this red chevron fabric months ago from fabric.com. At the time, I wasn't quite sure what I wanted to do with it. I just knew I liked it! It sat in a corner in my craft room until the end of November when I decided to use a bit of it for my Glitter Reindeer. After that, the fabric seemed to speak "turn me into Christmas stockings!". 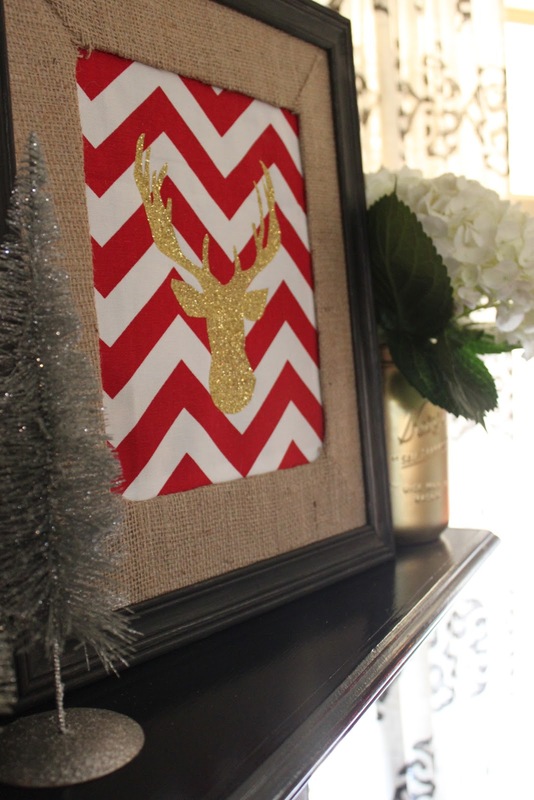 If you don't have any fabric that you just 'love' right now, then head out to your local fabric store (Hobby Lobby now carries chevron fabric similar to this!) and find some fabric that speaks to you. 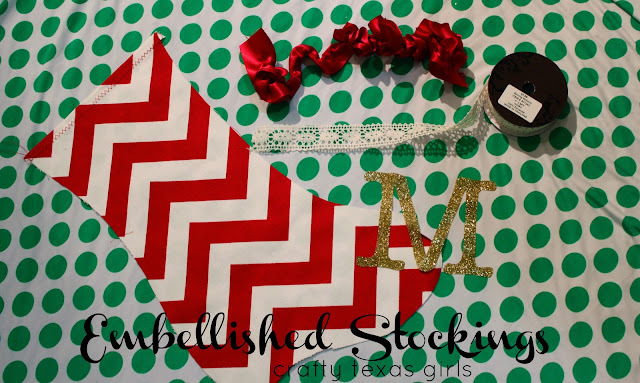 With your fabric in hand, then you can get started and create your own Ruffled Christmas Stockings. 1. Get started by making your own pattern. 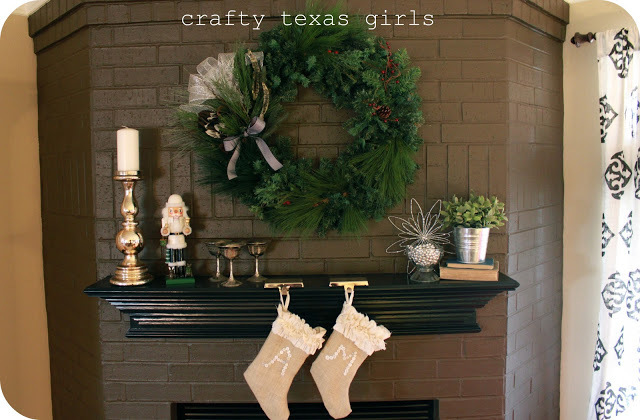 You can do this by tracing another Christmas stocking. Or print this free pattern. 2. Cut the stockings, each one needs two pieces- a front and a back. Pay attention to the direction of the 'foot' and matching the pattern of the fabric. 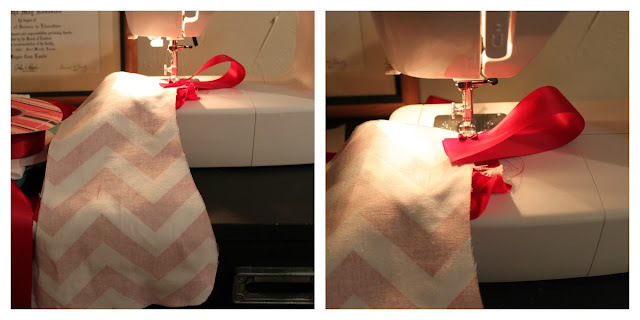 Finish the top of the stocking- by folding it over and running a stitch across the top. To create your ruffle, you have several choices. A.) Buy ruffled ribbon. B. )Ruffle your own ribbon. You can do this with a 'ruffle foot' on your sewing machine. Or make a ruffle by stitching a long, wide straight stitch the length of the ribbon. Then gently pull one thread to gather the fabric. Be careful not to pull to hard or to pull the thread out. 4. 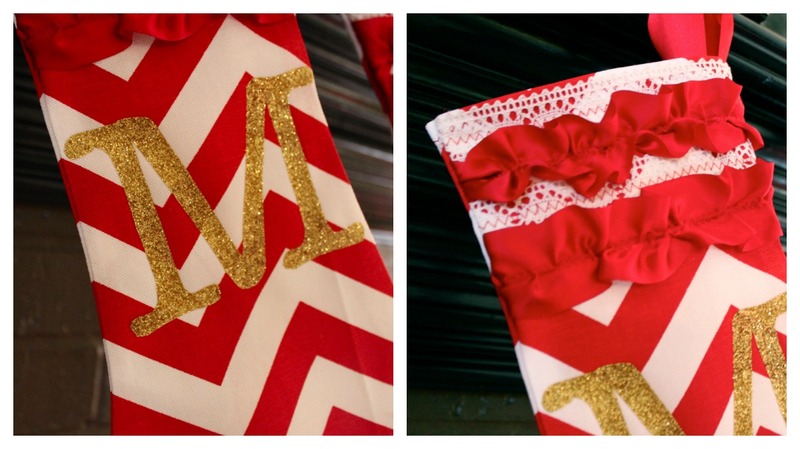 Add your ruffles and other embellishments. I alternated my lace between my ruffles. 5. Turn your fabric inside out. At this point I added a loop of ribbon at the top so I could hang the stockings. 6. Stitch around your stocking. Then turn it right-side out and check your work! 7. Use a stencil and scissors or a cutting machine to cut out the desired letter. Iron it on the front of the stocking. See the full tutorial for using Tulip Shimmer Sheets here. 8. Hang and enjoy. Or stuff it full of goodies and give it as a gift. 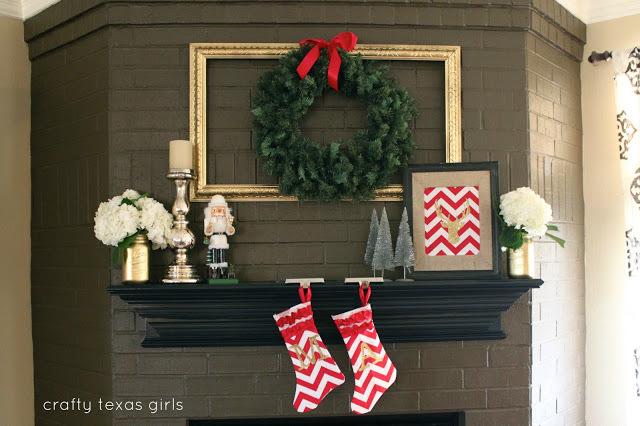 How many stockings do you have hanging by your fire? Beautiful stockings, and beautiful decoration. love the look of these - very festive but classic looking too! These are beautiful. I'm looking for the patterns.